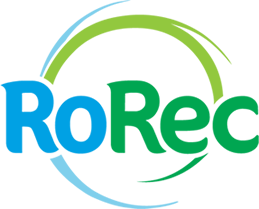 The Romanian Recycling Association RoRec (www.rorec.ro) is a not-for-profit organization, founded by eleven of the best known European producers of electrical and electronic equipment, presently acting in Romania. Actually, RoRec Association takes over producers’ responsibility and carries out all activities required for collection, treatment and recycling of waste electrical and electronic equipment (WEEE), also securing the sound disposal and safety of the environment, as per EU legislation in this field and the CENELEC standards. RoRec Association was created in order to take over producers’ responsibility to fulfill the objectives of collection, treatment, and recovery of waste electrical and electronic equipment (WEEE), as well as to report activities for WEEE management to the competent authorities. RoRec Association periodically organizes, by its local partner operators, WEEE collection events to efficiently meet the consumers’ need to dispose of these items. A very important component of the Association’s activity is public education and awareness raising on the correct collection and recycling of this type of waste. „WEEE collection should become a natural habit such as teeth brushing. No one expects a reward for brushing his teeth. These are natural habits coming from the respect for the people around us, the desire to be beautiful and healthy. 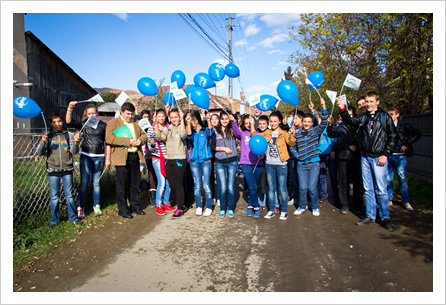 We should apply the same treatment to the environment ”, thinks Camelia Tănculescu, coordinating teacher of the Recycling Patrol of ”Ion Borcea” Technical College, in Buhuși, Bacău County.